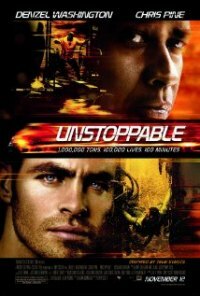 Directed by Tony Scott, Denzel Washington and Chris Pine play a couple of railroad engineers frantically working to prevent an unmanned freight train carrying combustible liquids and poisonous gas from wiping out a city. While most of "Unstoppable" was filmed in Pennsylvania, six days of filming took place in various locations in the Northern Panhandle, including Benwood and Follansbee. Many of the cast and crew stayed at Oglebay Resort, and the production also utilized various services at the Ohio County Airport in Wheeling. Rated PG-13 for action, peril, and language. Check your favorite store or online vendor for purchase options. Casting for low-budget Steampunk adventure short film being produced by senior student of The Academy of Art University. Paid travel expenses, meals and copy of film provided. Looking for actors around the Eastern Panhandle region only - all types and ages encouraged to apply, especially College Students & Grads (ages 18-27) and Senior and Veteran actors (age 50-65). Filming to commence in April in Shepherdstown. Submit headshot and resume to contact on this notice. The 7th Annual Oscar Gala Benefit, "A Night with the Stars," for Children's Therapy Clinic will be held Sunday, February 27 at 6:30 pm at Embassy Suites in Charleston. Admission is $75 in advance or $100 at the door. Enjoy a Hollywood atmosphere, Red Carpet Entrance, Paparazzi, Silent Auction, hors d’oeuvres and desserts, and fun contests (including a Celebrity Costume Contest, Oscars® Trivia, and Pick The Winners), and a Live, Big Screen Broadcast of the 2011 Academy Awards®. Mixing a little “Twilight” romance with “Smallville” heroics, “I am Number Four” settles (again) the alien from another planet come to earth for good , not invasion. While these fugitive visitors to Earth develop increasingly strong laser blasting energies from their hands, the story unveils much like an adolescent superhero saga in which the teen can’t face aloneness. That’s fortunate since complete invisibility (i.e. no school, no sports, no recreation) will squeeze life from him too. Shot in and around Pittsburgh (seems like a good place for heartland teen angst and coming of age drama), John Smith (Alex Pettyfer) has the life of the kid of a parent in the military or low level (as in often transferred) corporate management. He’s always the ‘new’ kid at school and the one who transfers out in midterm. John and his “father” Henri (Timothy Olyphant) must stay steps ahead of a group of bad off planet beings. During the ordinary high school portion, John demonstrates compassion by lending a little buff to help out the school’s beaten down dude and whimsically charms shutterbug Sarah (Dianne Agron). Days of Paradise come crashing to an end meaning fists and trips are replaced by laser blasts and debris falling. We’re all been there and seen it all before, including the sweethearts parting for a possible sequel. Check out the married men having a week to woo women half their age in the interest of rekindling their marriage. This “Hall Pass” has a snappy prevue, which hopefully will not disappoint (especially after those Applebee’s and Oliver Garden missing hook up venues. Interestingly, catch Alex Pettyfer as a ‘scarred ugly’ dude latching on-to true-love in yet another spin on “Beauty and the Beast.” For “Beastly,” the girl with the lovely locks comes via “High School Musical(s) i.e. Vanessa Hudgens. Desire disaster with all the stylish animation and city burning down luster? Battle for (not New York) Los Angeles awaits you in mid-March.